Needlework has always been an important art form of England. 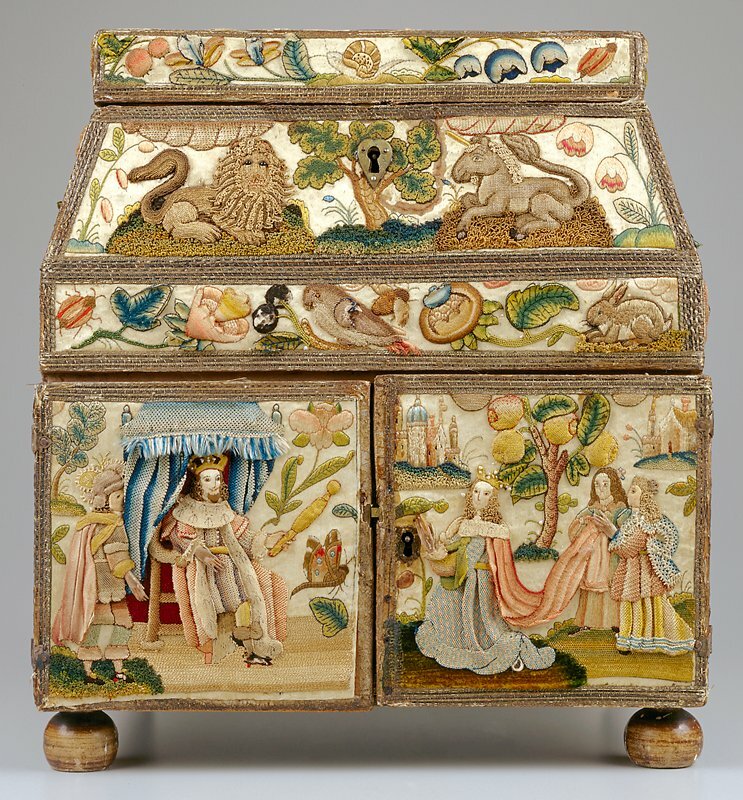 In the 17th century, a unique style of raised work embroidery was developed and, in its most elaborate form, was used to pictorially embellish decorative boxes used to store one's personal treasures. These embroidered containers were considered so important that cabinet makers were commissioned to create protective carrying cases so they could be easily and safely moved while traveling. This piece, one of the finest of its kind, tells the Old Testament story of Queen Esther, whose intelligence and diplomacy saved her people from persecution. The box was added to the institute's collection on the occasion of Mary Ann Butterfield's retirement to honor her work as the museum's textile conservator.